As previously discussed we decided to take part in the Driven To Quit Challenge advertised on Global TV. It’s a great motivator to achieve our goal of quitting smoking and balancing the budget. 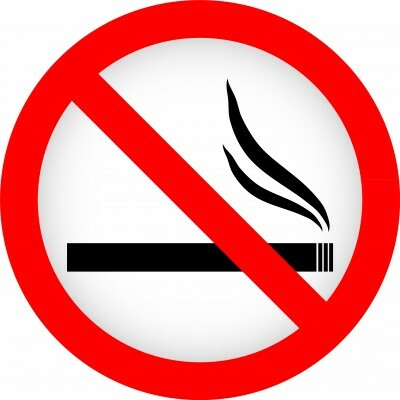 Last week we attended a meeting for participants who wanted to quit smoking. This is a 6 week program that we signed up for through our Family Doctor. Interesting to note that 15 people signed up and only 8 showed up. Quitting seemed like a good idea at the time, easy to say but difficult to carry out. The Registered Nurse spear heading the meetings says it happens every year. Upon arrival the stench of cigarette smoke blanketed us we entered the room. It was at that moment we realized we made the right decision. That was the first time since quitting we had smelled cigarette smoke. The meeting was 1 hour and we introduced ourselves like it was an AA meeting. I am ( enter name here) and I’m addicted to smoking because ( I like it). The top 2 reasons for quitting were health and money. Learning about why we smoke and steps we would take to set a quit date seemed like a daunting task. We both had to admit that we quit one week earlier. We were already ahead of the game in their eyes. It was a solid week with a couple rough patches but we went for extra walks, chewed on straws and talked our way out of wanting a smoke. We both chewed a grand total of 10 Nicorette gums which is amazing. My wife has had only 2 gums and no longer requires any more. I on the other hand chew them at work but not at home. See how we make out in week 2 by subscribing to the blog and receiving all our updates right to your email. Good luck with quitting! I know how challenging it is, my dad still smokes and my husband quit smoking last year around this time. It is a challenge, but the long-term rewards are totally worth it! Thanks, it’s been a long time coming. We just woke up one morning and said enough is enough. Once we started budgeting our money was when we noticed how much we were spending on smoking. The number one reason someone should quit is their Health. When you really want something to happen I believe you can make it happen. Thanks for following along I’m sure the updates will get interesting. Happy Sunday!